Freederm Facial Cleanser is specially formulated by experts to help keep spot-prone skin clear and healthy. It contains antibacterial ingredients to fight the bacteria that can cause spots, and has gentle yet effective cleansing properties to help remove dirt and impurities that can block skin pores. 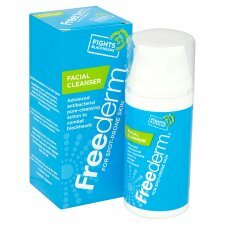 Store Freederm Facial Cleanser at room temperature. Use Freederm Facial Cleanser every morning and evening in place of your usual soap or cleanser. Apply using your fingertips, taking care to avoid contact with the eyes. Gently massage into the skin using a small circular action. Wipe away any excess using cotton wool or, if you prefer, rinse off with warm water. 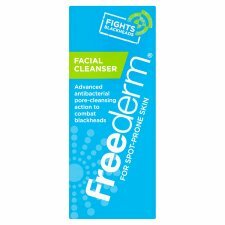 If you are also using other skincare treatments or make-up, apply after using Freederm Facial Cleanser.